Every blog owner wants great search engine rankings to get more traffic. Every blog owner wants more engaged readers to get more comments and shares. Probably, you have always thought of these as of two different goals you need to address in different ways. But there are (at least) five ways to make your blog a treat both for search engines and your beloved readers. Why readers love it. Visuals catch our eye, so a post that is rich in quality image or video content has much better chances to get noticed, read, and, well, loved. Why search engines love it. If you add keyword-optimized alt tags, search engines will see your page as even more relevant to that search query. Plus, your images will show up in Google Images results and will become another gateway for new visitors. Why readers love it. Isn’t it great when you stumble upon a post somewhere on the web, read it, and discover there’s so much more for you on that website? When you link to your previous relevant content, you give people a reason to stay on your blog instead of just reading one post and leaving. Why search engines love it. Cross-linking your pages creates convenient paths for Google’s spiders, it makes your content easier to index. Besides, it’s handy for the user, and Google loves user-friendly websites. Why readers love it. Well, for obvious reasons. Clean pages, readable fonts make your content easy to read and enjoy. Flashing banners and annoying ads don’t. Why search engines love it. Search engines love everything that’s user-friendly and high-quality. They see cluttered, outdated websites as less trustworthy, and prefer to keep them away from top positions in search results. Why readers love it. It’s so much easier to share a post you liked via social buttons, right? If you make sharing easy (and your content worth sharing), you’ll easily get more readers coming from all over Facebook, Twitter, and other social platforms. Why search engines love it. When content gets shared well, it’s a signal for search engines that it’s a high quality, relevant piece of information. Therefore, they gladly give your content higher rankings. Why readers love it. People love participating in contests, surveys, and polls – that’s just the way we are. A poll is more than a post: it’s something they can actually contribute to. So, try running polls, contests, and other interactive campaigns. They bring you new readers via social shares and help you keep existing readers active. Why search engines love it. Once again – search engines love content that stirs discussion and activity. When your contest or poll gets shared, commented on, viewed by thousands of visitors, Google starts ‘trusting’ your blog more. 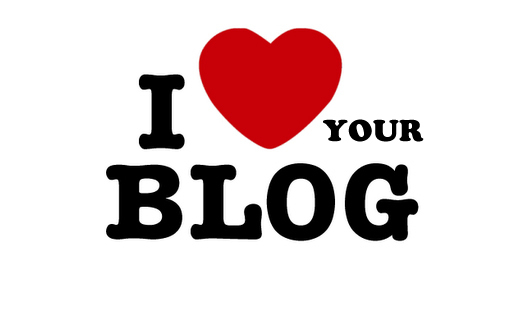 And what are your best practices for making your blog both reader-friendly and SEO-friendly? Can’t wait to hear them in the comments!